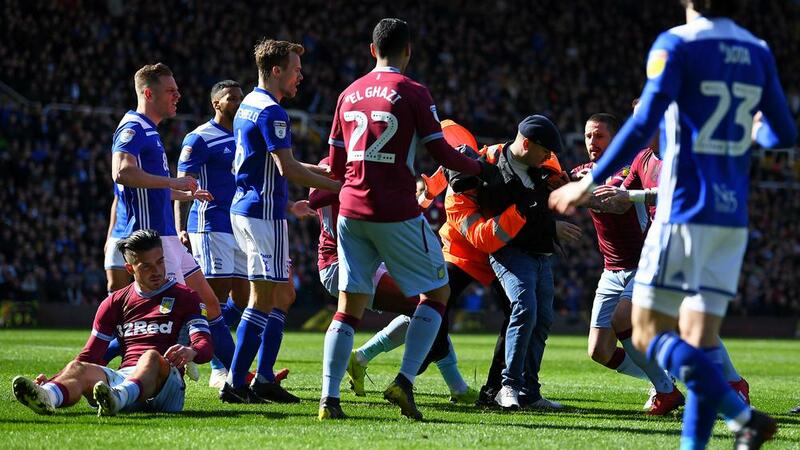 Birmingham City has been charged by the Football Association after the incident that saw Aston Villa midfielder Jack Grealish punched by a spectator during Monday's (AEDT) derby at St Andrew's. An FA spokesperson said: “Birmingham has been charged with breaches of FA Rule E20 (a) and (b). “It is alleged the club failed to ensure that its spectator(s) conducted themselves in an orderly fashion; refrained from improper or violent conduct and refrained from encroaching onto the pitch during the Championship fixture against Aston Villa on Sunday, March 10.